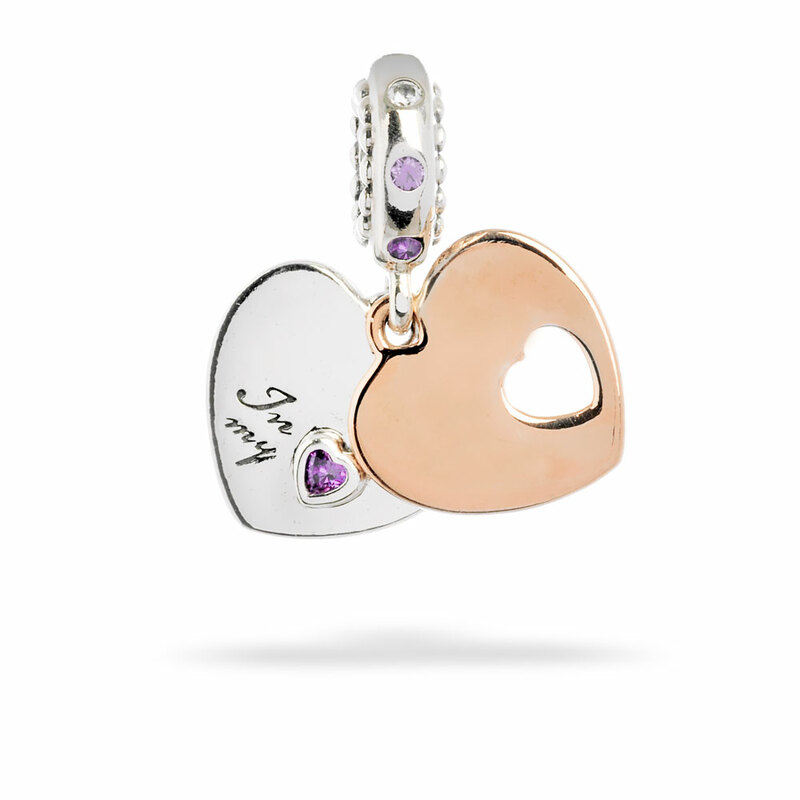 Two contrasting hearts, one in sterling silver and one in PANDORA Rose, make up this charming hanging charm. Conveying how you are always in each other’s heart, it symbolises your unique connection. Available online or in-store.This item is a single charm only. Bracelets sold seperately. Styling images may show this charm on a bracelet as styling inspiration.